I am a 32-year-old wife and mother of two beautiful kids ages 10 and 8. When I was 26 years old, my doctor diagnosed me with High Blood Pressure and prescribed me medications to help lower my blood pressure. My highest weight was 266 pounds, as of today, I have not only lost 105 pounds, but my blood pressure is now normal. The process was not easy, it took me over a year to achieve this goal of mine but with hard work and dedication I was able to do it. I started by changing my eating habits and educating myself on nutrition (Nutrition is the Key to having a successful weight loss transformation). I learned how to replace the foods that were not good for me and doing away with junk food, and sugary drinks. My workout routine consists of training at least four times a week both cardio and weight training. I found a passion for running and have ran many 5ks, half marathons, and my first full marathon last year (26.2 miles!). Weightlifting has definitely helped changed my body as well, which is why I encourage everyone to lift weights. For some reason, there is a stigma that if you are female, and you lift weights you will get bulky! That is not true and in fact, you should absolutely add it to your routine. The hardest part about my transformation was learning how to find balance, being that I work full time, mommy responsibilities, and having a family. I admit it is not easy but if you can find balance and create a schedule for yourself that fits your life it will work out. I would have to say that learning how to be consistent and not comfort eating when I felt stressed was something that was a struggle for me. It was hard during my transformation BUT I now know how to manage my emotions and not turn to food. My love for health and fitness has changed drastically. In July 2017, I did something I have wanted to do for years and that was to become a Certified Spinning instructor in July 2017! Becoming a Certified Spinning Instructor has been so exciting! 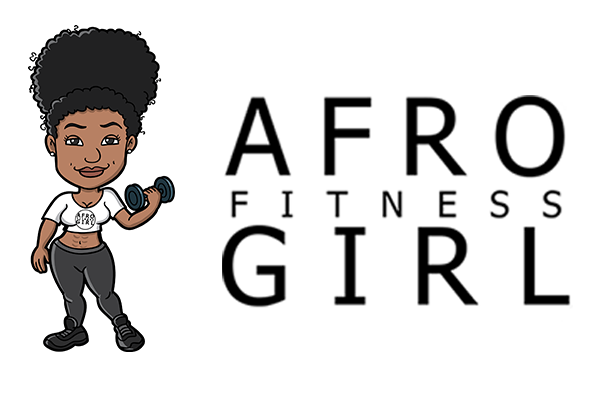 I am currently in the process of certifying as a Personal Trainer and Group Fitness Instructor. Now, every weekend, I get to inspire others on their journey and it has been so rewarding! Can’t afford a gym membership? Take it outdoors and get that workout in! You need to learn about Nutrition and the role it plays on this journey. The first step in helping individuals learn to eat better is to learn to shop better. The nutrition facts panel is on the back of many foods but most shoppers do not know how to read it quickly or what any of the terms on the label mean. Reading labels is as easy as one two three. One thing that I have to pay attention to on a daily basis is mindful eating vs. Mindless eating. While some of us may be emotional eaters (stress, frustration, excitement, etc) it could be boredom so we find ourselves snacking. It’s very important that we recognise this and find ways on how to pay more attention to it. Mindful eating is learning to pay attention. Instead of eating mindlessly, putting food into your mouth almost unconsciously, not really tasting the food you’re eating … you notice your thoughts, feelings, and sensations. … The look, smell, taste, feel of the food you’re eating. How full (or satiated) you are before, during and after eating. It takes practice, and there will be times when you forget to eat mindfully, and there will be starts and stops. But with practice and attention, you can make better choices that you can sustain. Make NO excuses you don’t need a gym membership to workout! Pull up at your local park and get that workout in for FREE. Find workouts that you will enjoy, so when you do the workouts it does not feel like a punishment. You may as well put the time in because the time is going to pass any way so do the work. Make your journey a lifestyle change! I know I can’t go through life eating all my favourite foods because I know that some of my favourite foods have enough sodium to have a negative effect on my body (if I continue that habit on a regular) which will cause to me gain weight and possibly overtime put me right back where I started (high blood pressure). So now, occasionally I eat my favourite foods in moderations. I have learned to enjoy food and not feel sorry about it BUT I have also learned that in order for me to stay healthy as much as I can within my ability, I have to watch what I eat and also exercise. Don’t count the days, the months, weeks, or years that it will take. Just know that everything you do towards reaching your goals is worth it. You may not see it immediately but overtime you will. So, keep grinding! Stay motivated! Do the work! Keep going and never give up!